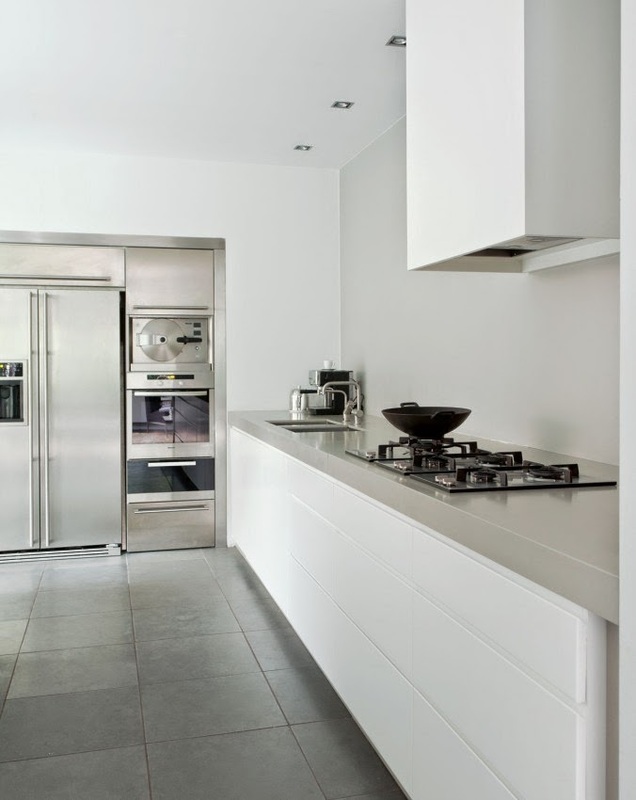 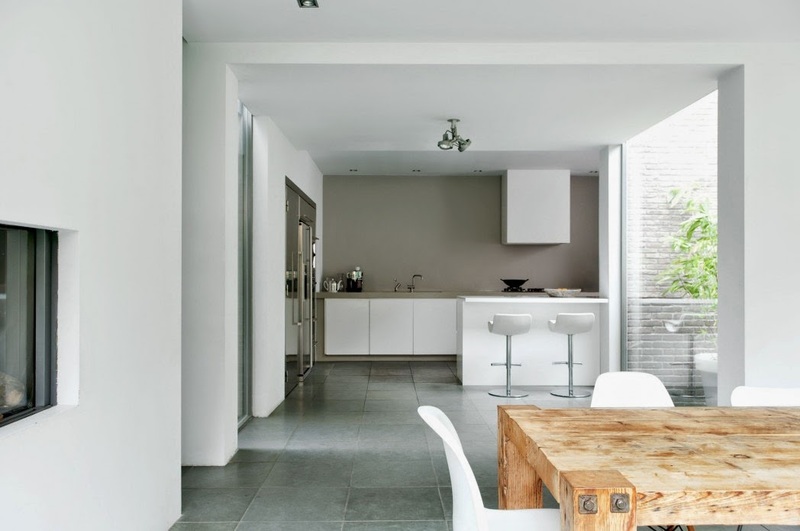 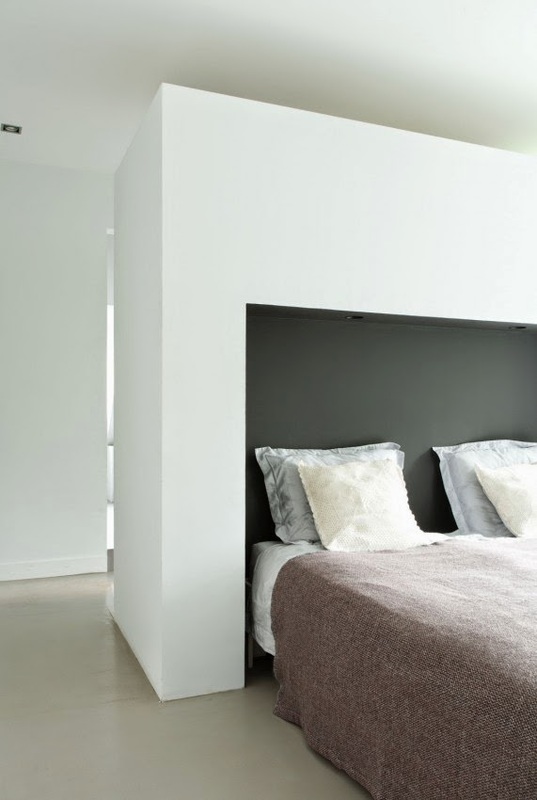 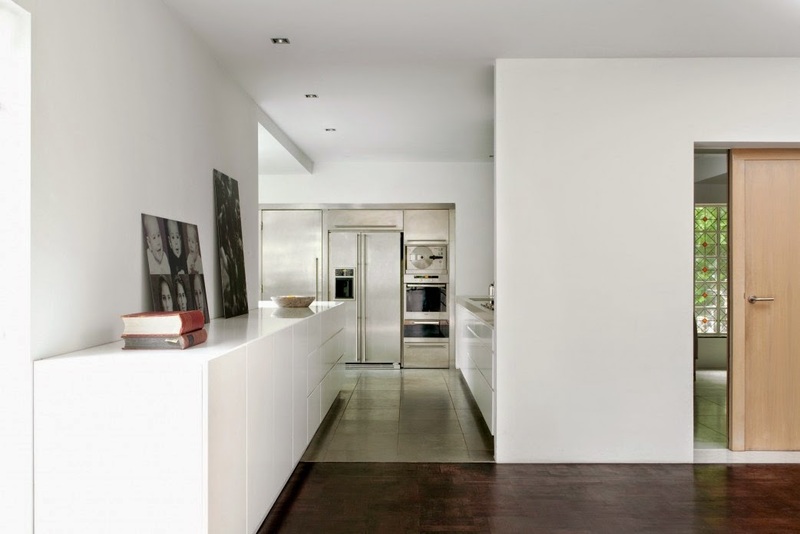 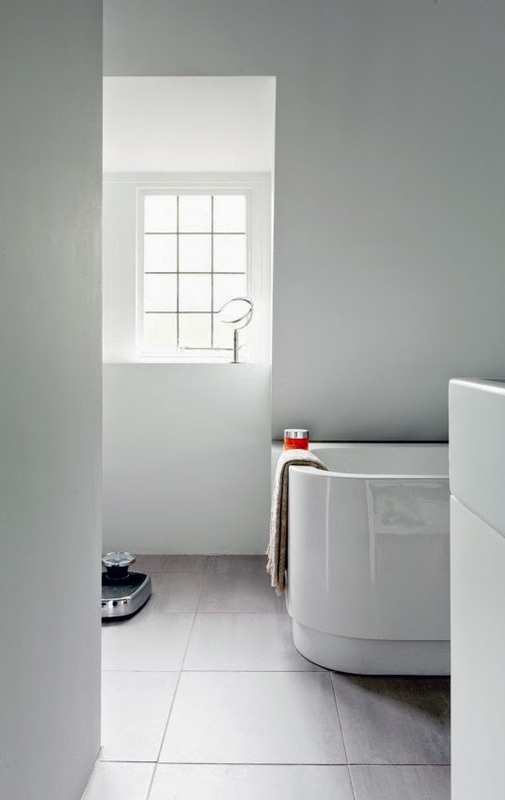 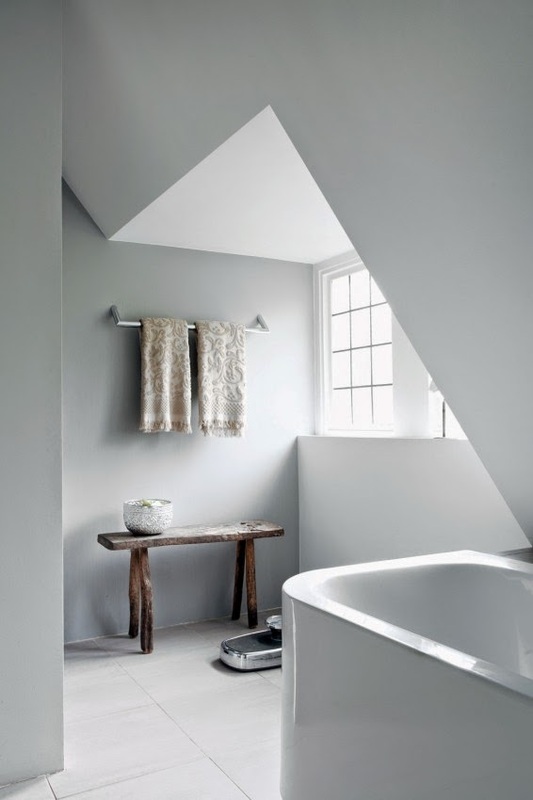 Utrecht based Remy Meijers Interior Architecture renovated a 1930s villa in Bussum, Het Gooi, Netherlands into a contemporary family house, with beautiful interiors based on elegant simplicity. 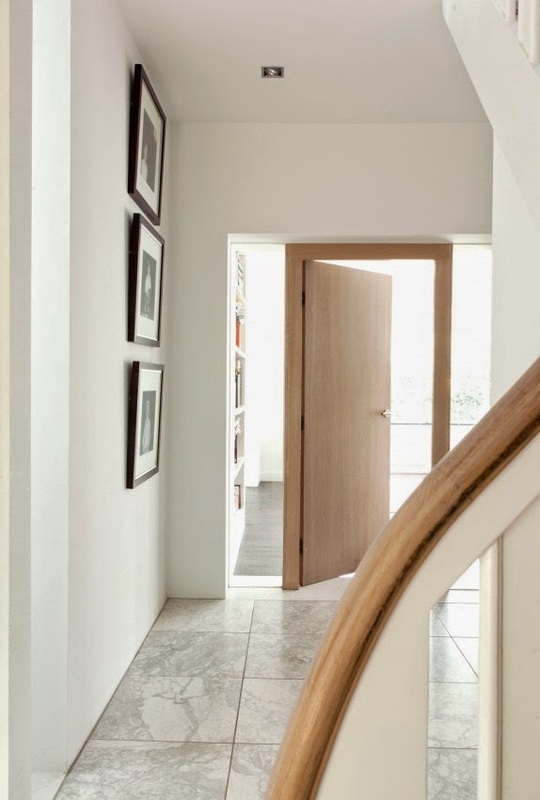 A glass corridor connects existing and new parts of the house, allowing natural light to fill the spacious, white minimalist interiors. 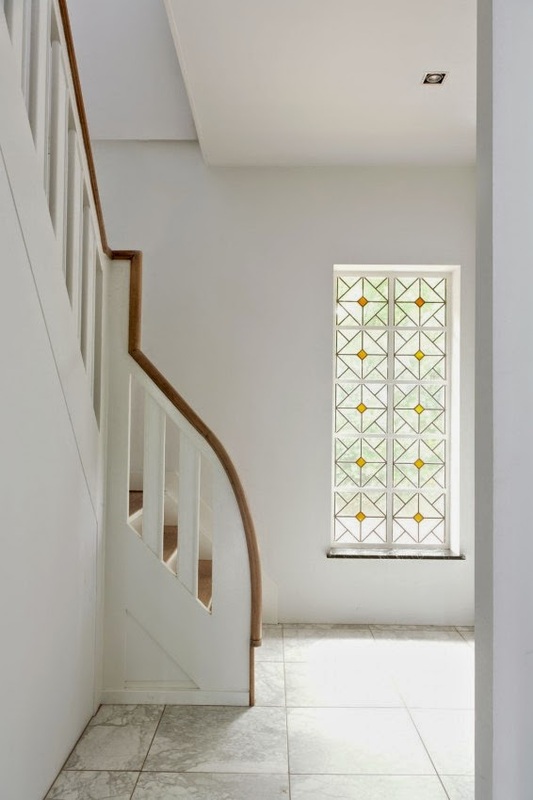 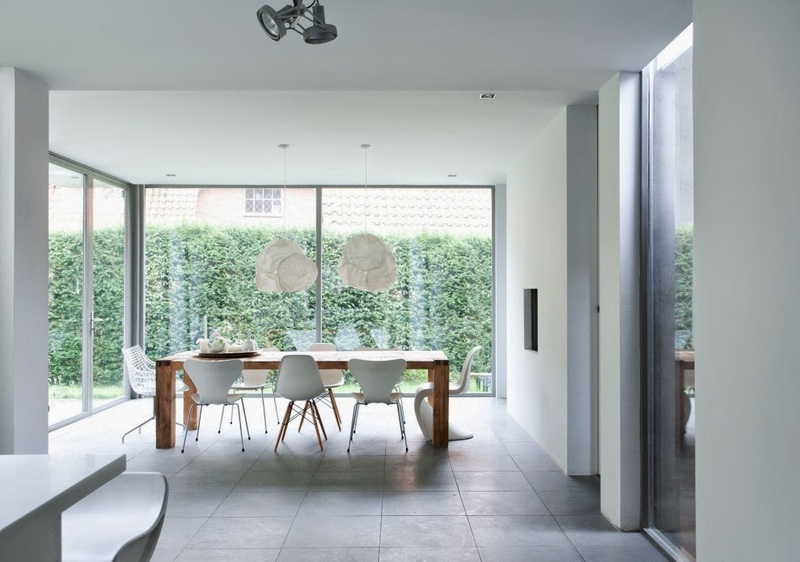 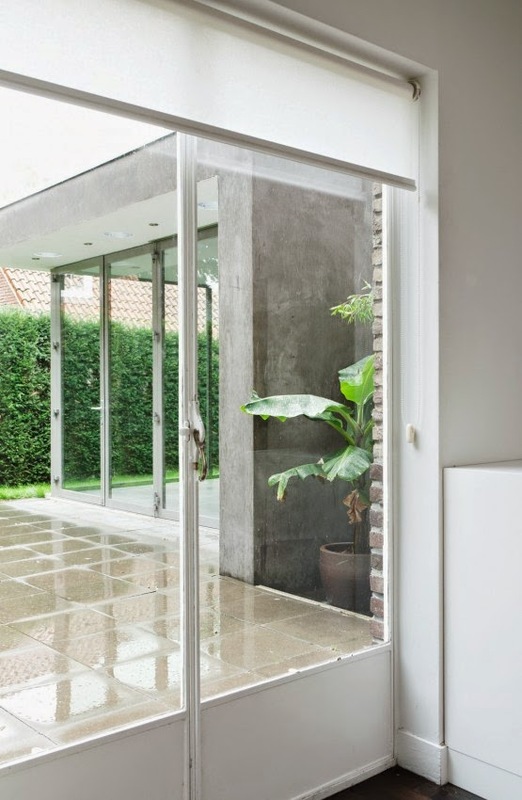 The original and new constructions that form this 1930s villa on the west side of Bussum are connected together by a glass corridor, which allows natural light to spill in. 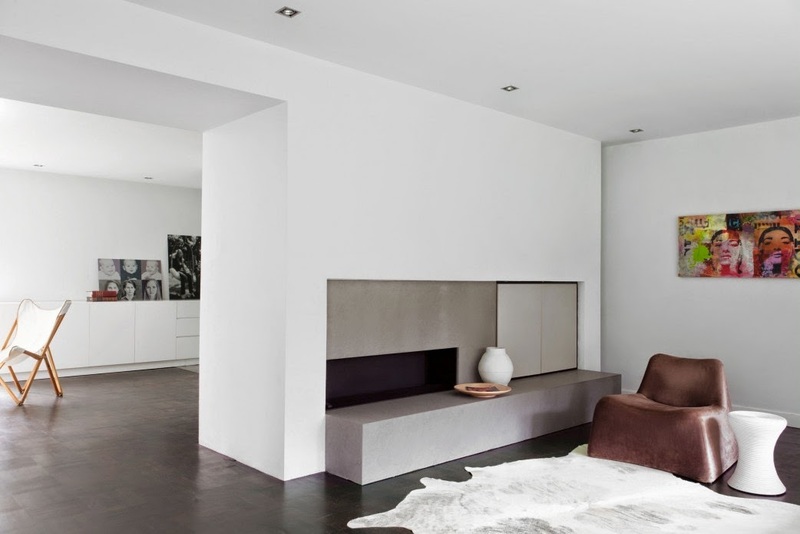 The spacious interior has been given a modern design and takes account of the needs of both the owners and their children. 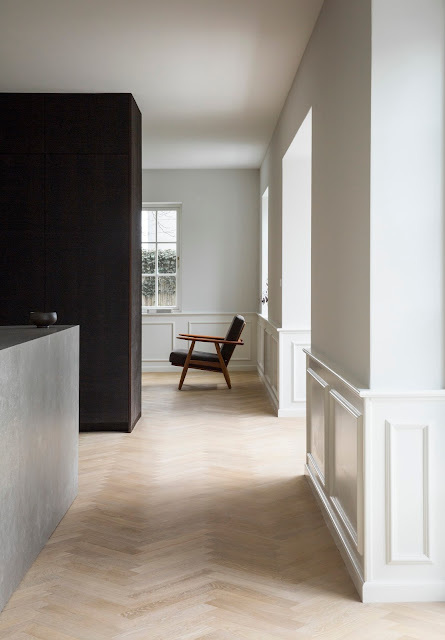 Sustainable materials have been used in acknowledgement of the house’s rich past.